When sitting down with concerned parents, one topic that often arises: How do I protect my family if I have no savings? If you do not have a lot of savings in the bank but are concerned with, or just want to make sure that your family is taken care of (financially), life insurance could be the answer. You have insurance for your car, you have insurance for your house, and you have insurance for your property, but what about your most important asset, your life? I do not sell life insurance but I can tell you what I learned while shopping for life insurance after having my first child. 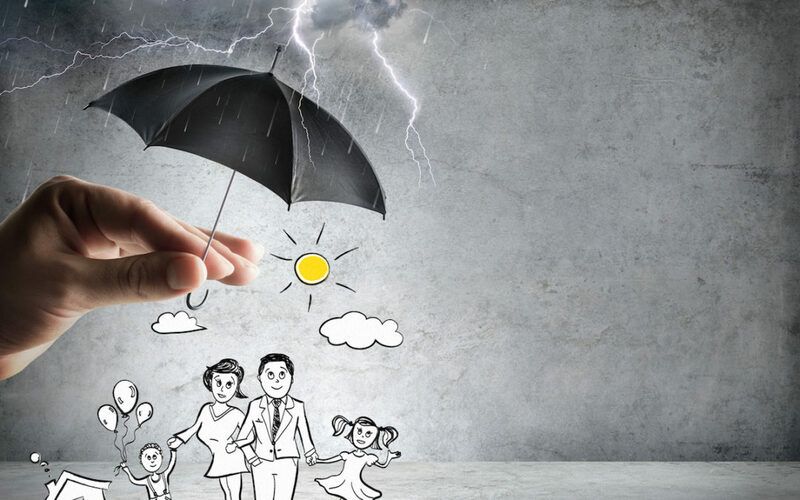 First, there are multiple types of life insurance. The two most common types are term life insurance and whole life insurance. Of these two types, term life will be your much cheaper option. With term life insurance you can get a large policy, 1 million dollars or more (depending on your age and health factors) for around $50 a month. This type of insurance is very simple. You pay your monthly fee for every month for the length of the term that you choose and once you hit the end date of the insurance, your policy cancels. Whole life insurance is a policy that you could have for the remainder of your life. This type of policy has many benefits. You can actually borrow money against the policy, or at a certain point if there is enough money in your account, you will be able to stop making contributions but your policy will stay intact. The only downside with this policy is the expense. If you are looking for the most bang for your buck this is not the policy for you. These policies can cost four times as much as term with a payout that is a quarter of a similar term policy. Although talking about your death is a very tough conversation, you have to have the tough talks when you have a family.